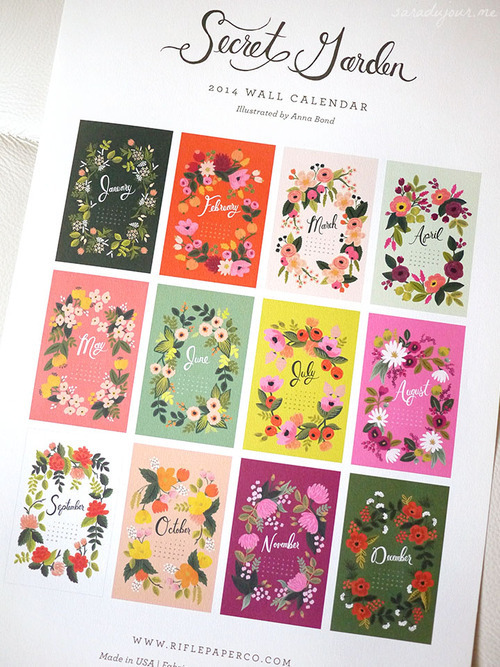 Rifle Paper Co. is one of my favourite brands, so I frequently peruse their site to see what’s new. Anna Bond, the founder and creative director, is incredibly talented and has an unparalleled visual aesthetic. I’ve got things from Rifle Paper Co. all over my home – from framed London and Paris illustrated map prints, to greeting cards I’ve either framed or stuck on my fridge door, to my iPhone case. I’d let Anna art direct my whole life, if she wanted to. 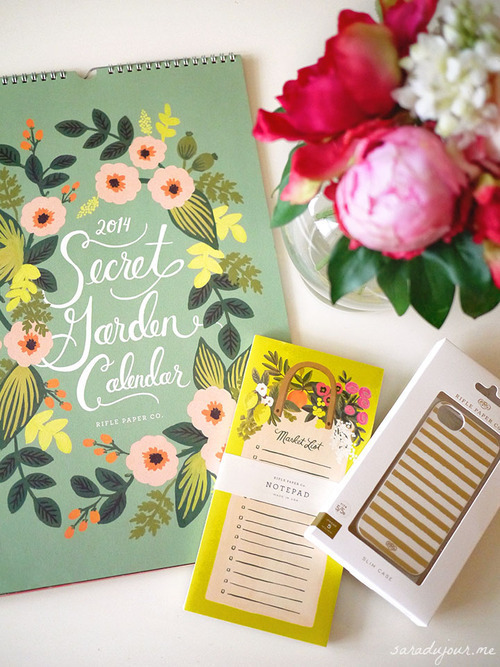 I’ve wanted their Secret Garden 2014 Wall Calendar since last year, but since I didn’t yet have my own place, I didn’t have a good enough reason to buy it. Now, having moved out into my own apartment, I had just the excuse; and since part of the year had already gone by, the price was slashed by half. How could I say no? 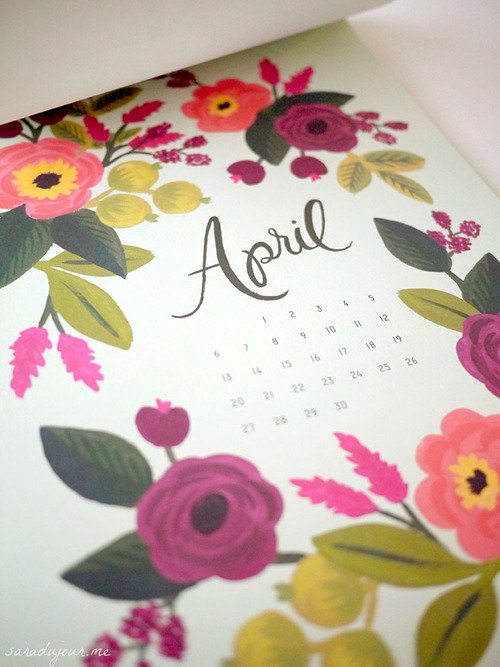 Though I love each month’s design, my favourites have to be March, April, July, and August. Which are yours? 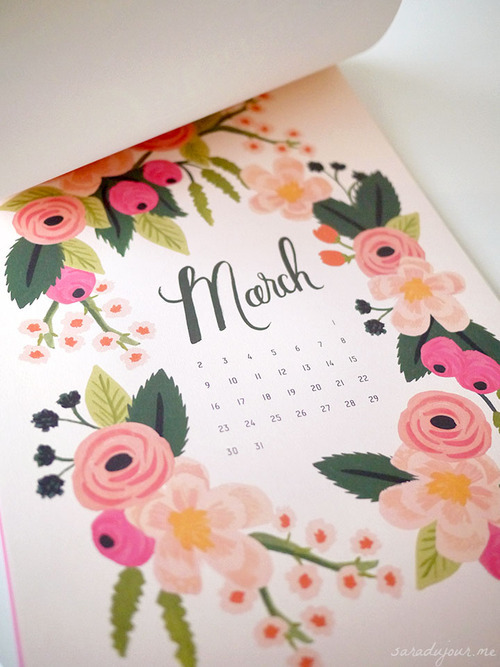 Truth be told, I pretty much only use my iPhone’s calendar for keeping track of important dates and events, but I just love the look of real, printed calendars. For just $13, I thought I’d treat myself. I have it hanging in my kitchen, and consider it a piece of decor. 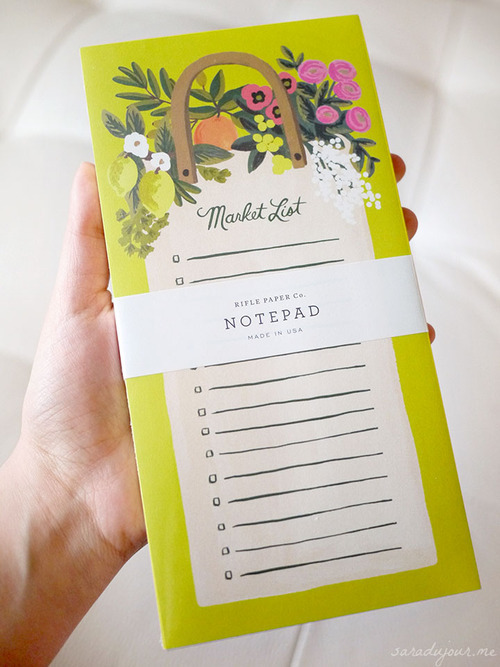 Next, I got this gorgeous Market List Pad. It comes with an attachable magnetic strip so you can keep it on your fridge to jot down items to replace as you use them up. When you’re ready to go to the store, just tear the page off and you’re set! It’s so much easier than scrambling to remember everything you need to buy when you’re already at the grocery store. I love little organizational things like this that make your life easier, particularly when they’re pretty and cheer up your home, too. Lastly, I repurchased my favourite iPhone case, the metallic gold foil 5/5s slim case. It’s what I currently have on my iPhone, but since the gold foil is starting to peel off at the edges, I decided to repurchase it. 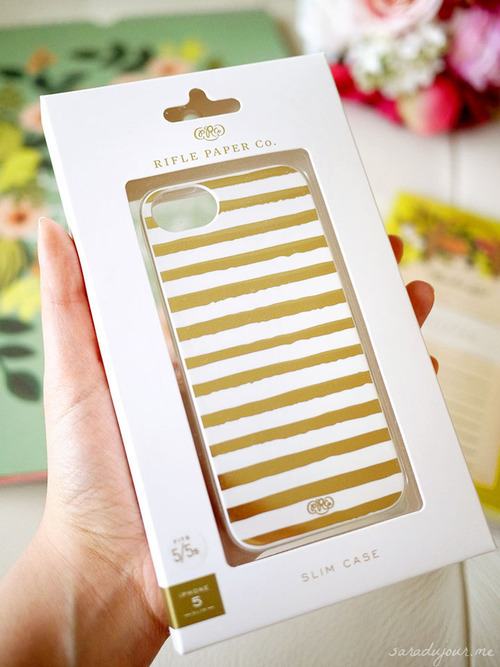 Get the gold stripes iPhone case for 4/4S (slim) and 5/5s (slim), or 4/4S (inlay) and 5/5S (inlay). If you’re not yet familiar with Rifle Paper Co., I strongly recommend you take a wander through their whole site, because absolutely everything is so beautiful and whimsical.